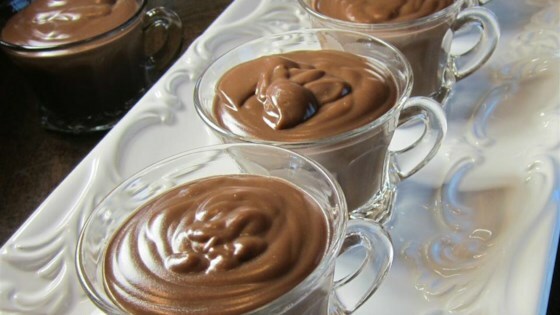 "My mom's best chocolate pudding recipe made with cornstarch and cocoa." Very thin - despite the fact that I added an egg yolk for extra richness (which was the only change I made). Good as a sauce - not as pudding.